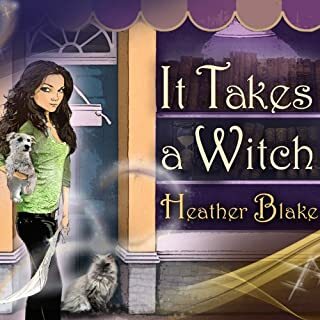 June Heal has nothing to lose when she relocates her homeopathic cure shop, A Dose of Darla, from the flea market booth in her home town, to a quaint shop in the cozy but unusual little town of Whispering Falls, Kentucky. Or so it seems. Whispering Falls has a lot of secrets. From talking snow globes to whispering animals not to mention a few sprinkles of fairy dust, June realizes Whispering Falls is more magical than she thought...literally. Cat-shifter Curt Warrick doesn't want to take a road trip with five other guys, but when his best friend leaves him no choice, he finds himself in a van headed to Louisiana. There is a bright side: The trip will give him a chance to expand his enterprise. Missi (Mississippi) Peugeot hates rich men who think they can throw money around to get what they want. When a flashy, yet fetching, stranger shows up in a van announcing he's looking to buy property and begin developing the town, she speaks out of anger and accidentally puts a curse on Curt. A road trip you won't forget. 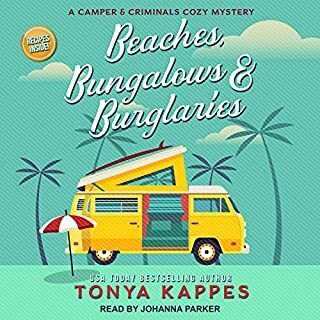 Roxanne Bloom quit her job as a lawyer, divorced her cheating husband, and moved to the quaint town of Honey Springs, Kentucky, where she'd spent many of her teenage summers visiting her eccentric and fun-loving Aunt Maxi. Roxy follows her dream and opens The Bean Hive, Honey Springs' first coffee house on the town's newly revitalized boardwalk. It opens just in time for Honey Springs' annual Honey Festival. Roxy's life couldn't be better. 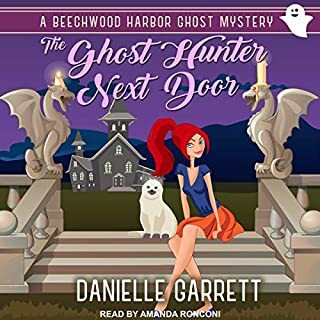 Kenni Lowry likes to think the zero crime rate in Cottonwood, Kentucky is due to her being sheriff, but she quickly discovers the ghost of her grandfather, the town's previous sheriff, has been scaring off any would-be criminals since she was elected. 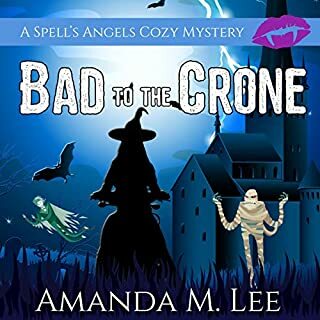 When the town's most beloved doctor is found murdered on the very same day as a jewelry store robbery and a mysterious symbol ties the crime scenes together, Kenni must satisfy her hankerin' for justice by nabbing the culprits. One town. Two leading ladies. More magic than you can shake a wand at. Welcome back to Beechwood Harbor. Betwixt is a collection of the in-between. Catch up with Holly and Scarlet in these stories of the mischief and mayhem they get themselves into while you wait for the next full-length novel. Bubble, Bubble…It seems shop owner and newly appointed Whispering Falls Village President June Heal has it all: Beauty, wits, bewitching powers...Sheriff Oscar Park. Life is good. Because life in Whispering Falls is magical. Cures and Trouble…But when a member of the community is found dead on the steps of A Charming Cure, June's homeopathic cure shop, and her fingerprints show up at the scenes of local robberies, she is kicked off the village council and her powers fall under scrutiny. Until it's uncovered who is wreaking havoc on the town...June's magic is suspended. Magic Stirs…With the help of a rather obnoxious genie and Mr. Prince Charming, June's Fairy-God cat, June is determined to figure out who is framing her. Time is of the essence when it becomes clear that the true villain is trying to get rid of her...permanently! And trouble doubles…Oscar Park will do anything to protect June even if that means giving up all of his magical powers…or worse, his life. A thoroughly enjoyable book with all kinds of mystical happenings and people falling in love. Beautifully written and narrated. Surprise after surprise and a lovely ending. I really love this series! 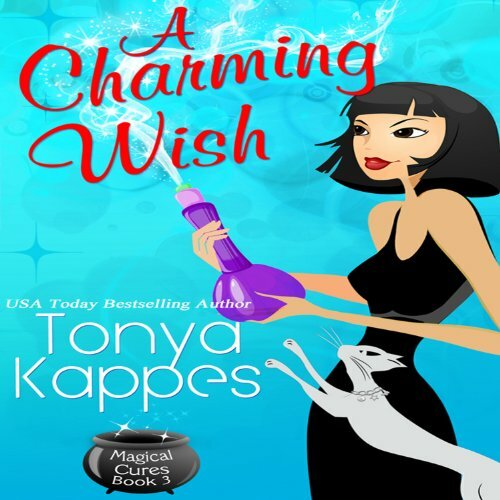 What did you like best about A Charming Wish? What did you like least? I adore the small magical town of Whispering Falls. It is the kind of place I'd want to live - the sort of small town any cozy mystery reader recognizes, but this place is full of magical practitioners. The thing I don't like about this series is that it just misses - it has everything to make it perfect, but I think fleshing out the characters more, and a good editor for continuity, dialog, etc. would seriously help. I do keep buying them because I love the town, the general idea, and I want to support the author. Eloise is my favorite character. I can just imagine her beautiful home and gardens. She seems to truly care for June and Oscar and that remains true throughout the series, whereas many of the other characters seem to spend most of their time looking for reasons to distrust their friends. Sadly, this performance was not very good at all. It was a step above the way my sixth graders read aloud because Ms. Savage did differentiate between the characters by changing voices. She read so quickly I actually checked that the speed was set at 1x. It adds to the general flaws of the book itself - the ones an editor is needed to help with. I have read all of these books on my kindle, and I know that there is some punctuation, but this reader blows right past it. 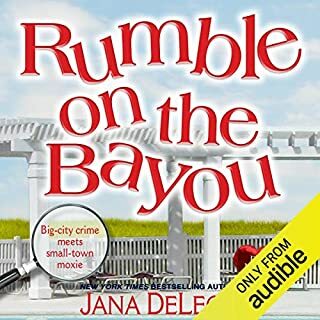 I was hoping that a good narrator would make this book and the town and characters come to life in an amazing way - make up for the mistakes of the author, not add to them. Did A Charming Wish inspire you to do anything? The Charming series inspires me to take care of my plants better! It makes me sad that keeping my herbs alive is so difficult for me. It also makes me want to combine my essential oils in more interesting ways. I can only say that I must love this town a lot, because the author isn't developing much beyond what a good high school writer can do. There are pieces of this story missing - a character is suddenly a different place with no explanation. It is just so very close to amazing. I hope that Ms. Kappes takes some time to work with an editor to make this series something that could break out of the e-book market. Ms. Savage is able to develop the voices of the characters well, so if she now works on cadence and not rushing through what she is reading, she has the potential to become an excellent narrator.